Checking off items on my “resolution” when I turned 60. A new city in a surrounding state. A new market. Lunch at some locally owned family type place. I found this market on an app on my iPad. Food Network on the Road. 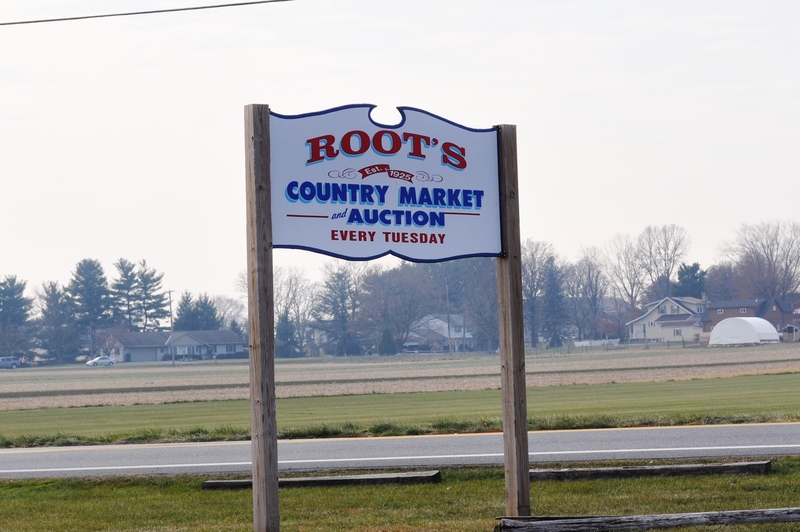 Every Tuesday a huge food market, auction, flea market, antique dealings, collectors, and who knows what else. Including lots of locally produced items. I was on a mission. See if anyone sold salsify. They didn’t. Find a reasonably priced butter for baking. Found one. Maple syrup. Yes. Ground coriander. Check. Oh, and this. Which I did not buy! As for my favorite item, it was this one. 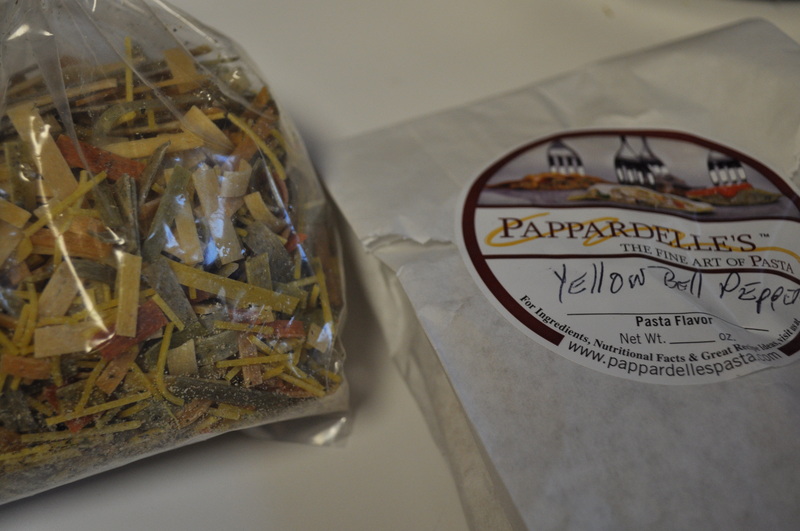 Can’t wait to try out the yellow bell pepper pappardelle. I went on the web site when I got home and found out it is available locally. At Casual Gourmet in Glenwood, and at Secolari, the new shop in Columbia Mall. I need to bookmark those locations, as these pastas may become my new standard. I plopped a little of the soup mix in my turkey soup. At $2 a package, it was a great bargain. Mix and match, it seems. 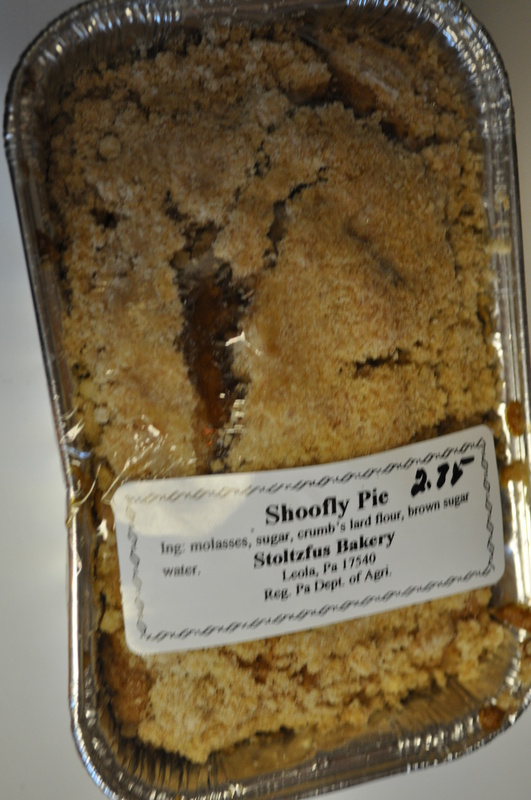 Oh, and of course, in Amish country, I couldn’t resist one of these. What a lovely day we had today. Temps in the 50s. Nice lunch at Hahn’s in the market. Cookies in the car on the way home. And, the promise of some very good pasta this weekend. 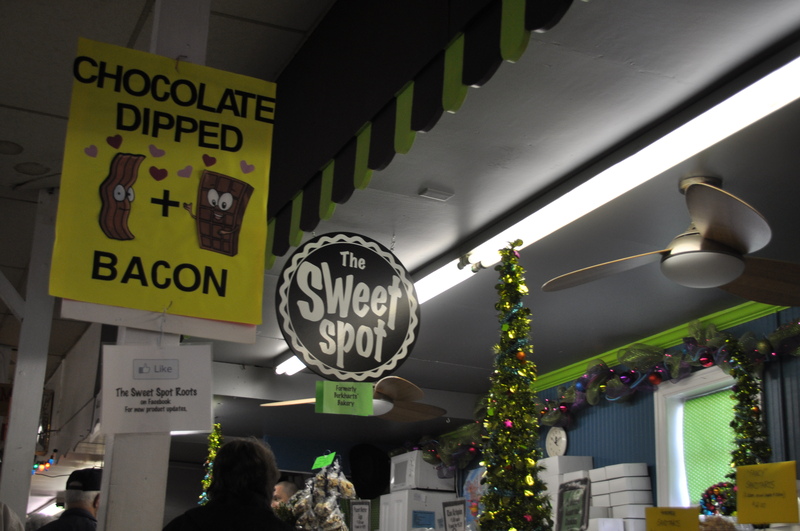 Posted in Adventures, Day Trips, Farmer's Markets, Farms, Food, Sixty@Sixty, Travel, Weather and tagged cooking, day trips, farmer's markets, farms, Food, foodie, travel, weather. Bookmark the permalink. Interesting – Pappardelle’s was at a Garlic Festival in the Poconos earlier this year and their pasta was 3 bags for $8. At any rate, I bought some flavored with porcini mushrooms and it was delicious. Looks like a fun market to investigate!